long_description“New Yorkers are particular about pizza, and no one has a more well-formed opinion than Scott Wiener.” <br>—<i>Newsday<br><br></i><b>One of the world’s foremost pizza experts presents more than 100 weird and wild pizza box designs</b><br> <br> Since the origins of to-go pizza, pizzerias and pizza chains have taken great pride in covering take-out boxes with captivating designs. They’ve also wrestled with the best way to manufacture a box that can keep a pizza looking and tasting great.<br> Here, the world’s expert on pizza boxes presents more than one hundred weird and wild box designs and explores the curious history of the pizza box. Included are international designs, corporate designs, and dozens of quirky images from mom-and-pop pizzerias.<br> Where does all this art come from? Scott Wiener has been collecting and cataloging pizza boxes for more than five years. 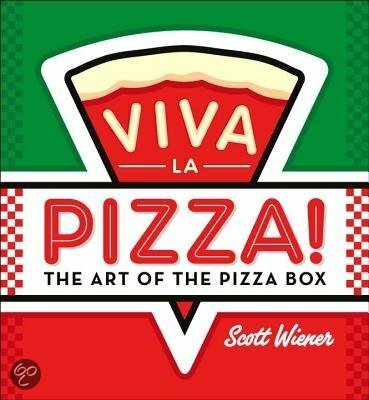 In <i>Viva la Pizza!</i>,<i> </i>Wiener traces design trends over the past four decades and profiles some of the world’s most prolific box designers and manufacturers. The result is a captivating overview of pizza culture and a new way to look at one of the world’s favorite foods.